NASA's SPHEREx mission is targeted to launch in 2023. SPHEREx will help astronomers understand both how our universe evolved and how common are the ingredients for life in our galaxy's planetary systems. Astronomers at NASA have embarked on a new space mission to study the evolution of our universe and the commonality of ingredients for life on other planets. Two astronomers from the University of Arizona will participate in the mission. 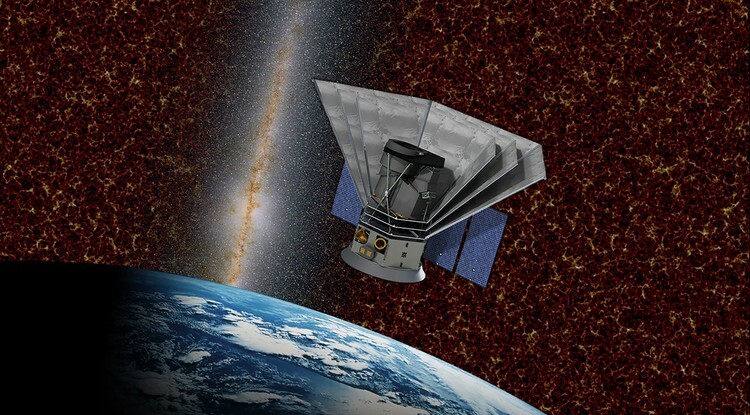 The mission, called the Spectro-Photometer for the History of the Universe, Epoch of Reionization and Ices Explorer, or SPHEREx mission was recently given the go ahead by NASA's Explorer program and will launch in 2023. Elisabeth Krause and Tim Eifler, who both joined the UA as junior faculty members last fall, will be working on the mission over the coming years. Krause is an assistant professor of astronomy and physics at the UA and is a mission co-investigator on the SPEREx mission. Eifler is an assistant professor of astronomy at the UA and is a SPHEREx collaborator. Every six months, SPHEREx will survey the entire sky to create a map in 96 different color bands, far more than any other sky map. "This amazing mission will be a treasure trove of unique data for astronomers," said Thomas Zurbuchen, associate administrator for NASA's Science Mission Directorate, in a press release. "It will deliver an unprecedented galactic map containing 'fingerprints' from the first moments in the universe's history. And we'll have new clues to one of the greatest mysteries in science: What made the universe expand so quickly less than a nanosecond after the big bang?" Until the mission is launched, the SPEREx team will be designing, building and testing the space telescope.